The Rotronic Monitoring System - RMS - is one of the most flexible, validated and secure monitoring systems available on the market today. From small applications requiring a single measurement point to large, extended systems with hundreds of measurement points each with defined alarms and alerts, RMS provides tailor-made solutions. All data is available exactly in the format required and on any device. 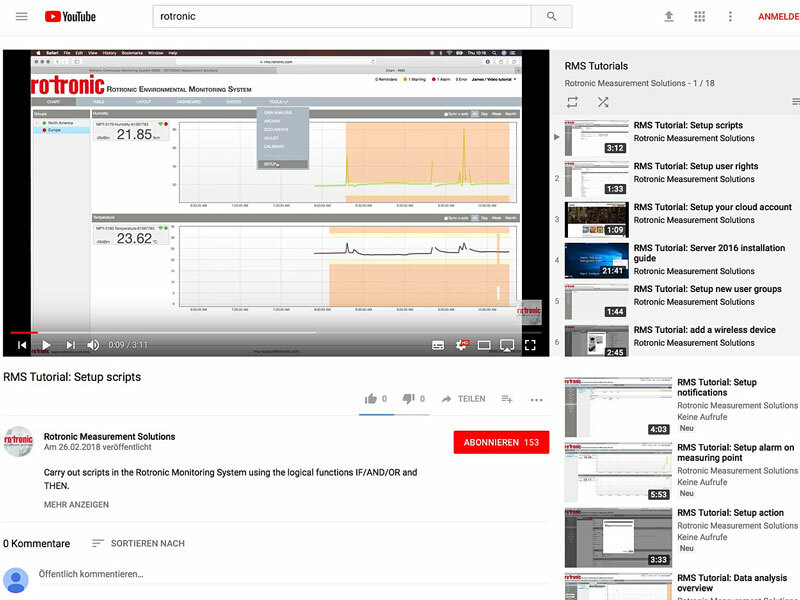 The RMS tutorials in our latest YouTube playlist show how easily a Rotronic RMS monitoring network can be designed using modular components, configured exactly as required, installed with RMS cloud or server software, with additional devices and parameters integrated later as required.